I don’t know about you, but my cell phone bill is currently one of the largest expenses I have, behind my mortgage and groceries. Until recently, I just chalked it up to the price you have to pay to stay connected in our digital world. 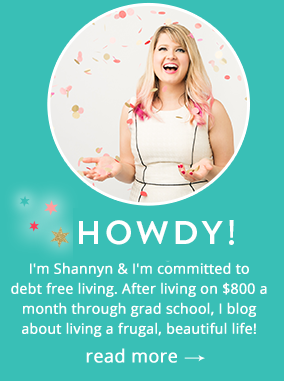 Then I went to a blogger conference last week and there I chatted with a few of my fellow finance bloggers about cell phone plans and ways to save on this major expense. That’s when they told me about Republic Wireless. What particularly piqued my interest was that one of my pals mentioned that plans start as low as $15 with FREE texts and calls. Sayyyyyy whattt? A $15 cell phone plan? Bull$*%^! The entire premise behind Republic Wireless is that most people do not use or need as much data as they think they do. Unless you spend the majority of your time in the car or traveling, chances are that your work and home have WiFi access. So, in a nutshell, Republic Wireless combines fast, nationwide 4G LTE cell service with the power of WiFi to give you better coverage, in more places, for less money. And unlike most providers, calls can be made over WiFi too, which is great if you are in a location with crappy cell service but wireless access. To give you an idea of what kind of plans they offer, take a look at this handy-dandy graphic. Do keep in mind that if you need more data, you can sign up for a larger plan during registration. Another thing that is so great about Republic Wireless is that there are NO overages. Hallelujah!! Instead, if you hit your data limit for the month, you can upgrade to a plan with a higher data allotment. Just keep in mind that if you want to switch back to your former plan, you will want to perform a plan downgrade. Easy-peasy, lemon squeezey. Even better, there are zero contracts to get locked into. You can’t really say that about AT&T and Verizon. If you already use your WiFi function on your phone with your current plan as much as possible, you can log into your current provider’s website and see how much date you typically use. If you haven’t been taking advantage of your WiFi function on your phone, start doing it at the beginning of your current plan’s billing cycle. After those 30 days, you’ll have an idea of how much data you actually use. Of course, you can always choose a Republic Wireless plan and upgrade or downgrade as needed. Republic Wireless uses both the Sprint and T-Mobile networks for their wireless coverage. Remember, this is as a backup to your WiFi. They offer pretty extensive nationwide coverage, but take a gander at their map to see how things look for your area. Most of the country offers 4G LTE coverage, but make sure that it includes your area before signing up. One important thing to know about coverage by Republic Wireless is they do not offer international roaming or calling. For a lot of people, that is a non-issue. But for some, this is completely unacceptable. Currently, Republic Wireless uses Android devices only. That means no iPhones, unfortunately folks. When you sign up for a plan, you will be given the option to purchase a device from Republic Wireless or you may be able to bring along your current Android phone. As of November 2017, there are currently 8 different phones for sale from Republic Wireless. 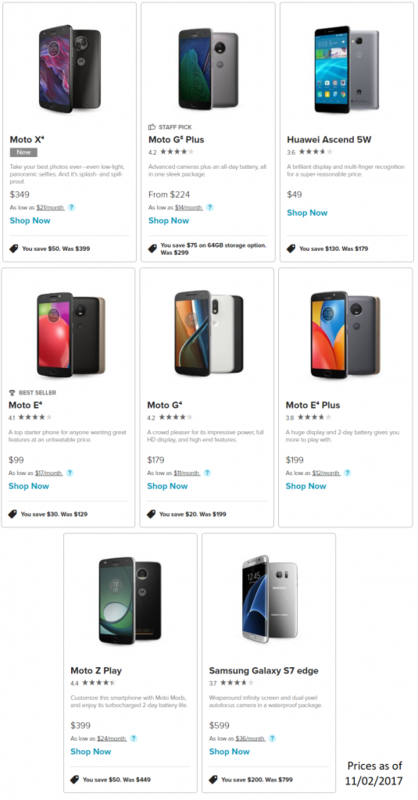 As you can see below, there is a phone for any budget and many of them even allow you to pay for them in monthly payments. GSM (Global System for Mobile Communications). The best way to determine if your phone is compatible with Republic Wireless’ technology is to peruse the first few pages of their website. There you can enter in your phone’s info and check to see if it is transferable. 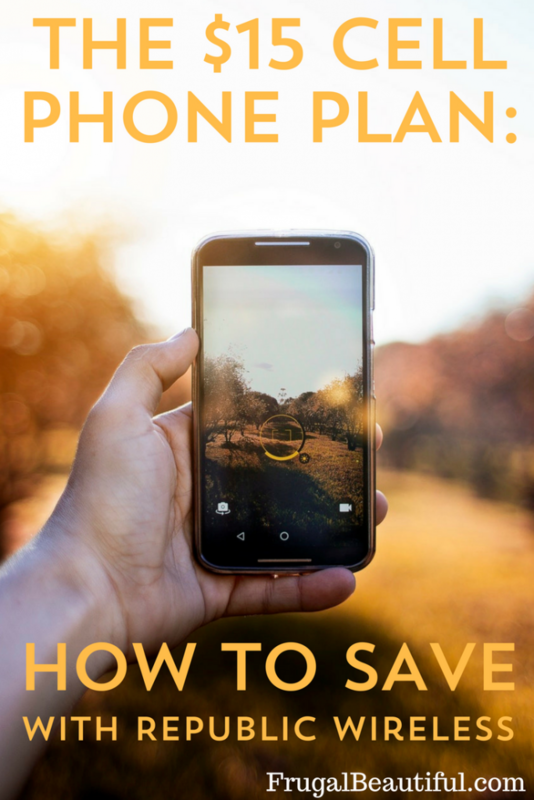 So, About that $15 Cell Phone Plan…..
As you can see, there are a few things to take into account to determine if you can get by with Republic Wireless’ $15 cell phone plan. If you never use data away from WiFi – say for using the map/directions app on your device or searching the internet – this plan may absolutely meet your needs. But even if you do need to pay for some data, the prices are still amazing. As long as you fall within Republic Wireless’ coverage area and are happy using Android phones, they will save you big bucks. As for me, I have a lot to think about. I travel a great deal and some of that is international. Plus, I am a diehard iPhone user and I am not sure if I am ready to let that go. The sentiment “once you go iPhone, you never go back” really does apply to me. Still, I am incredibly impressed with Republic Wireless and I think it has the potential to save many people a lot of money and allow more folks to have cell phones without going broke. That’s pretty darn cool, in my book. I want to hear from you! Have you used Republic Wireless? What has your experience been with this company? What are your favorite options they offer? Is there anything you wish would change or that you aren’t happy with? Comment below with your thoughts!